Werners Wings is well known for producing aftermarket decals and details for interesting rotary-winged subjects and this release is no exception. 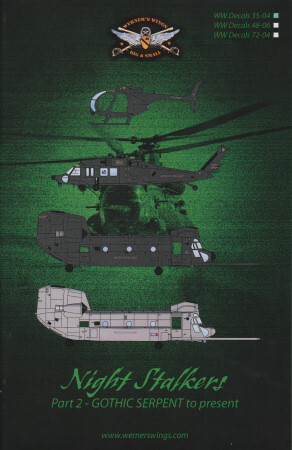 This is part one of their 'Night Stalkers' series covering the aircraft of the 160th Special Operations Aviation Regiment (SOAR), this installment covering the aircraft from the first aircraft in the unit through Operation Gothic Serpent. These were the airmen that were the subject of the movie 'Blackhawk Down' which took place in Mogadishu, Somalia, 1993. 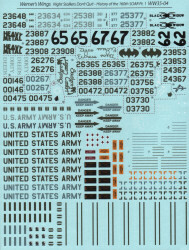 There are sufficient markings to replicate at least five aircraft from this set, more if you can reuse some of the stenciling from the original kits. 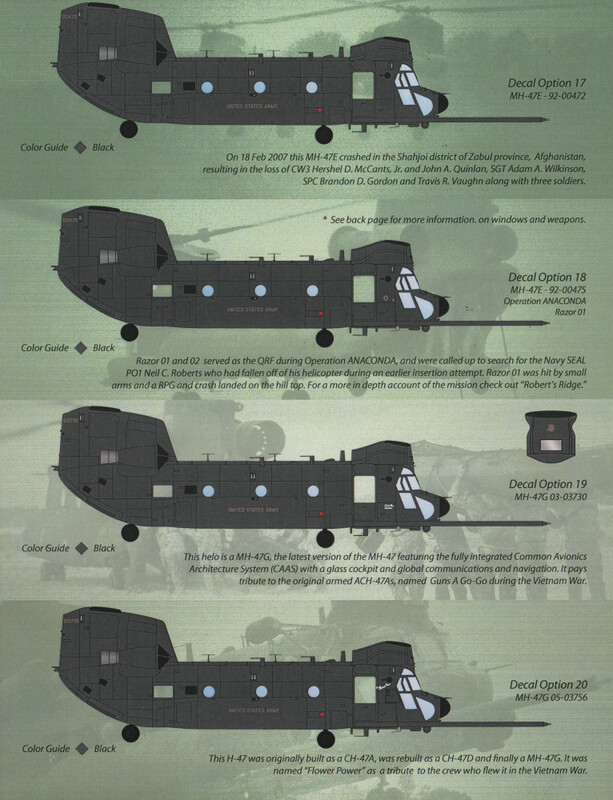 If you're a fan of the Little Bird or other special mission aircraft of the 160th SOAR, you're going to need this decal sheet as well as part one. My sincere thanks to Werners Wings for this review sample!